AVAide DVD Ripper is an excellent DVD ripping software. With amazing fast speed and quality, it can successfully rip DVD movies to all popular video or audio formats like AVI, MKV, MPEG, WMV, MP4, DivX, XviD, H.264, MP3, WMA, M4A etc without any loss. In addition, the best DVD Ripper provides you with powerful movie editing functions, such as trim, merge, watermark, crop, etc. 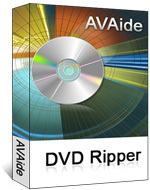 Free try AVAide DVD Ripper now! You will have a great mood when you convert DVD movie. AVAide Video Converter is powerful, easy-to-use video conversion software which can convert video files between all popular video formats with fast converting speed and excellent video quality. The most renowned AVI to MPEG converter can not only convert AVI to MPEG, AVI to MP4 but also supports converting files between various formats MKV, AVI, XviD, DivX, H.264, MPEG, MP4, WMV, 3GP, MOV, RM, FLV, etc… This powerful any video converter application makes any video conversion quick and easy. 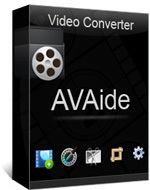 AVAide Video Converter supports popular multimedia devices such as PSP, iPod, iPhone, MP4 player, mobile phone, Zune, etc. Furthermore, you can edit video files with trim, crop, watermark and more functions with ease. AVAide DVD to iPod Converter - Rip DVD to MP4, H.264, AAC, MP3 for your iPod Player. AVAide DVD to iPod Converter is the most professional DVD to iPod converter software. It can realize DVD to iPod Touch, DVD to iPod Nano, DVD to iPod Classic. You can easily convert almost all kinds of DVDs to iPod MP4, MP4 AVC video, MOV, M4V and iPod MP3 etc. 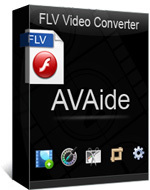 Convert FLV videos to whatever you want with AVAide FLV converter! Additional supported output video formats include FLV to WMV, AVI, MPEG, MP4, 3GP, H.264, MOV, even convert FLV to iPod, iPad, iPhone, PSP, Wii, BlackBerry and more portable devices. Option to convert FLV to MP3, MP2, OGG, WAV, WMA music is also available, so you can listen to your favorite video soundtracks in audio players. If you want to convert only the outstanding part of the FLV video, you can preview it with the built-in player and then set up accurate start time and end time. 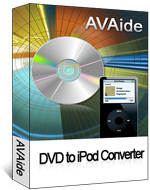 AVAide MKV Video Converter - MKV to iPod, MKV to AVI, MKV to WMV converter. AVAide MKV Converter is one type of ripping softwares, and it can convert MKV files to video formats like DivX, XviD formats. With the converter you can get a high quality file. Have a trial of the products you will be never disappointed. This MKV Video converter helps you convert MKV, AVI, MPG, WMV, and MP4 to the proper formats playable on iPod, iPhone, Zune, PSP, and other MP4 Player etc. It is really outstanding MKV Converter. 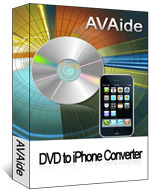 AVAide DVD to iPhone Converter is the best DVD to iPhone Converter program. It can convert DVD to iPhone MP4, MOV, H.264 video and MP3, M4A, etc easily and fast. Also, it supports iPhone 3G, iPhone 3GS, iPhone 4. In addition, AVAide DVD to iPhone Converter has the highest conversion speed (>400%) and the best image quality. DVD to iPhone,DVD to WMV,DVD to MP4,DVD to AVI , DVD to MP3 etc. Convert video between all popular video formats like mkv to ipod, mkv to avi,video to 3gp converter, etc. from DVD to iPhone (Matroska Video) with amazing fast and quality. Copyright © 2008 AVAide Software DVD Ripper Video Converter.